BBQ Packs at Floods Butchers Oldcastle With Summer just around the corner and great weekend family fun to be enjoyed, now is the time to start preparing for those sunny days, rather than wait to the last minute when the sun appears on the horizon, think BBQ, think Quality Meat Products for you and your family. Floods Butchers Oldcastle can put together your ultimate BBQ Pack this is the ultimate BBQ feast for your family and friends to enjoy. 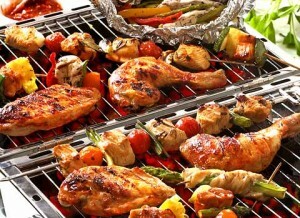 Enjoy quality meats for your BBQ such as sausages, steaks, burgers, ribs, chicken and so much more. Why not add Emmet’s Famous Hot-pot as a side or main dish, other ready meals such as stir-fry’s also available, Make it Special, Make It Floods Traditional Irish Family Butchers. 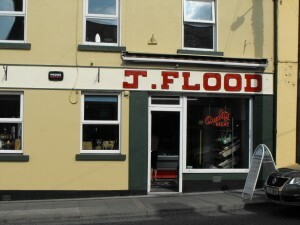 When you enter Floods Butchers Oldcastle Meath you will be immediately struck by the fresh quality cuts of meat in the glass fronted display cabinet, you will be greeted by the staff as if you are a family member, you will see the names of this week’s suppliers of all meat types on display behind the counter, you will witness the mastery of the Butchering trade as the lads work so professionally right in front of your eyes, there are no closed doors or hidden preparation areas in Floods Butchers, Floods do it the old fashioned way, they display clear traceability of all meats and they display their butchering professionalism ensuring that all animals are treated with the highest respect as their wonderful meat feeds the community. A trusted family butcher, Floods high quality meat, game, poultry and ready to cook dishes are served with a high standard of professionalism and hospitality. 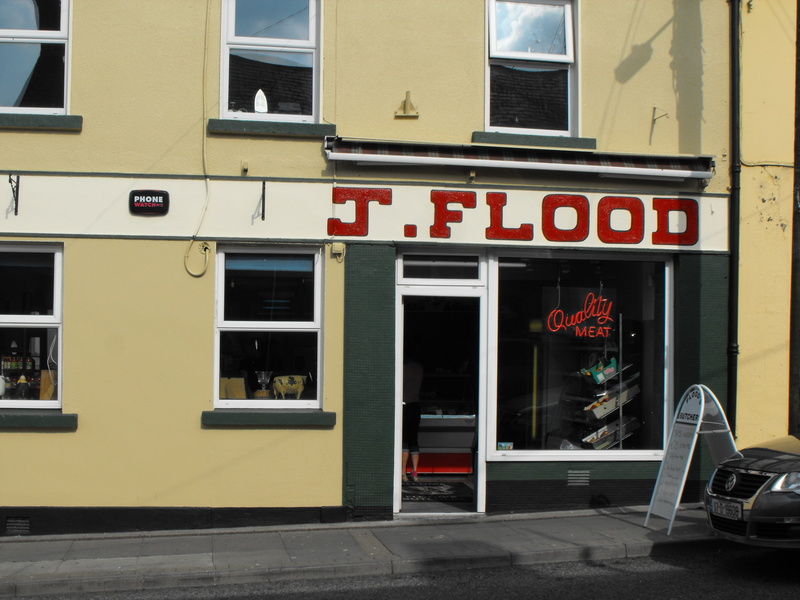 Floods Butchers Oldcastle has become a successful business providing both retail and wholesale services to both the local and wider community. 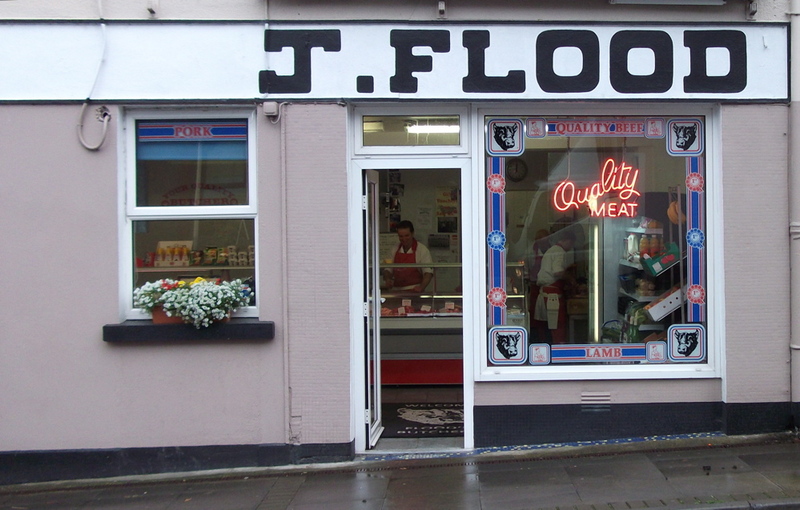 Floods Butchers Oldcastle pride themselves on their second to none beef, pork, chicken and lamb selection process. All beef, pork, chicken and lamb is hand selected by the Flood TEAM each week with the names of each supplier on display in the shop, this trace-ability is second to none. This hands on approach guarantees that only the very best beef, pork, lamb and chicken reaches Flood’s meat counter ensuring consistently high quality standards at all times. 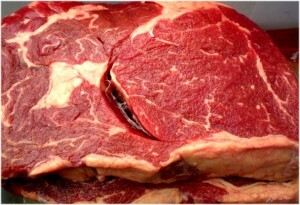 Floods also offer ready to cook chicken, beef and lamb stir-fries, puddings, thick cut bacon slices, turkey burgers (Turkey is a favourite for those on low fat diets), lean mince, beef burgers of the highest quality, and so much more. With decades of farming and meat industry experience Flood’s Butcher’s brings a wealth of knowledge and expertise to the table. Floods Butcher’s are always striving to improve their products and services and they welcome feedback from their customers.